Art Classes at Studio-kids would make the perfect present! Winter Classes start January 28th and are now enrolling. Check out the classes page for all the info! 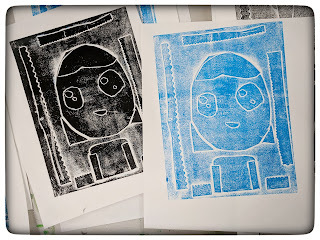 Its been a month of printmaking in the studio and I couldn't be happier! 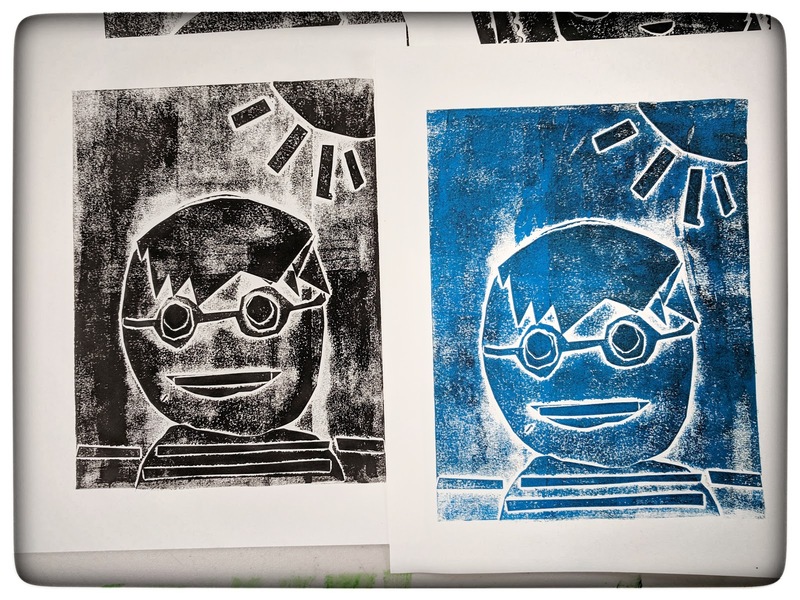 I love teaching the kids all about original prints. 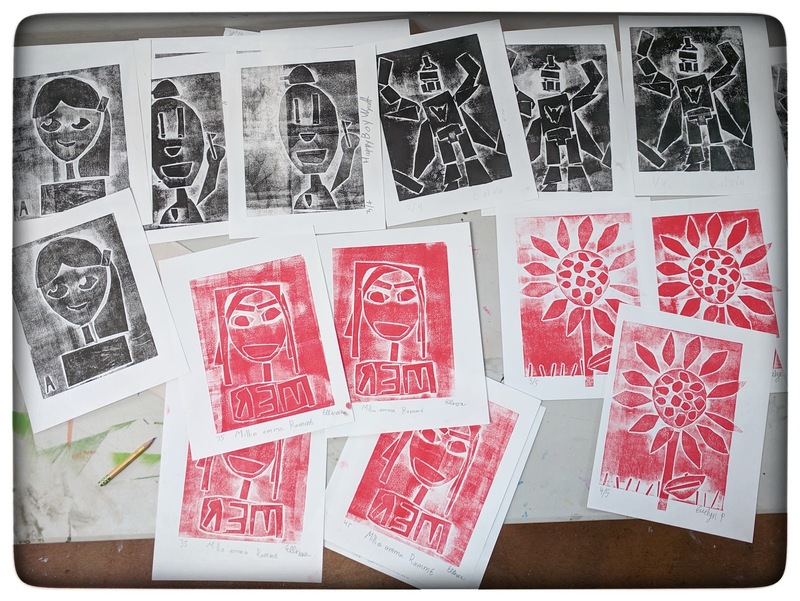 For this project students created collagraphs. Our printing plates were matt board with paper shapes cut and glued on to create a slightly raised surface. 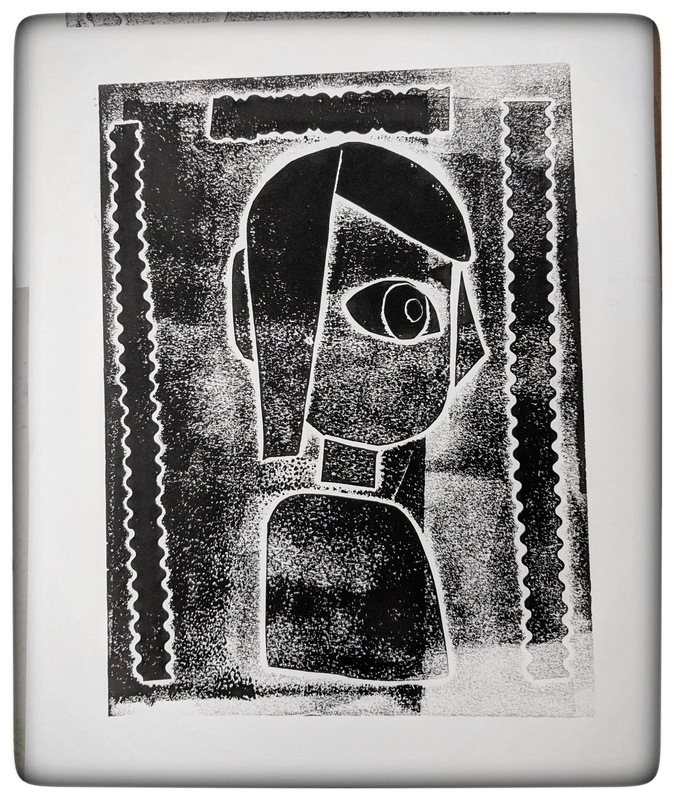 Portraits in the style of Picasso's cubist work was the suggested starting point for the kids but I am always open to their ideas. Students are 9-10 years in age. Original prints are 6"x8" printed in a limited edition of less than 10. 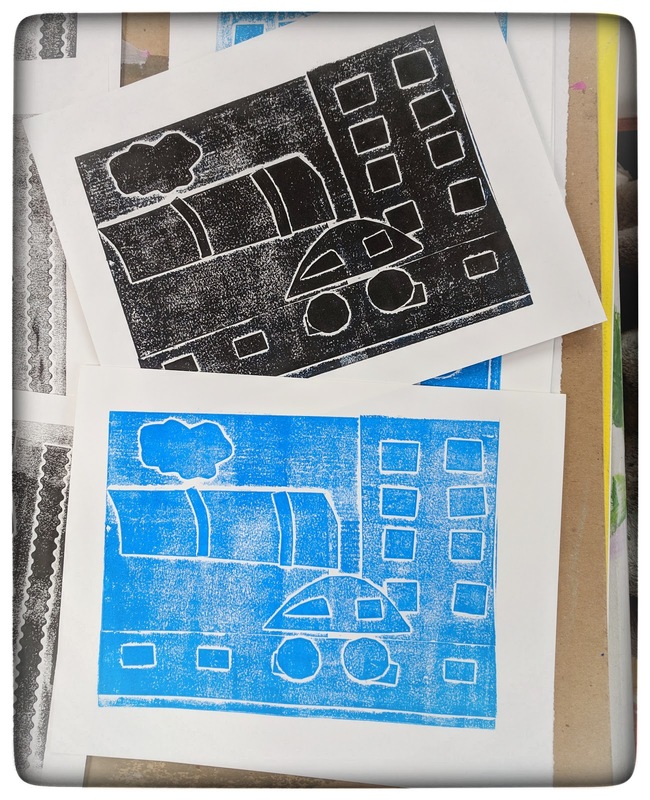 Students love using the printing press for this project!